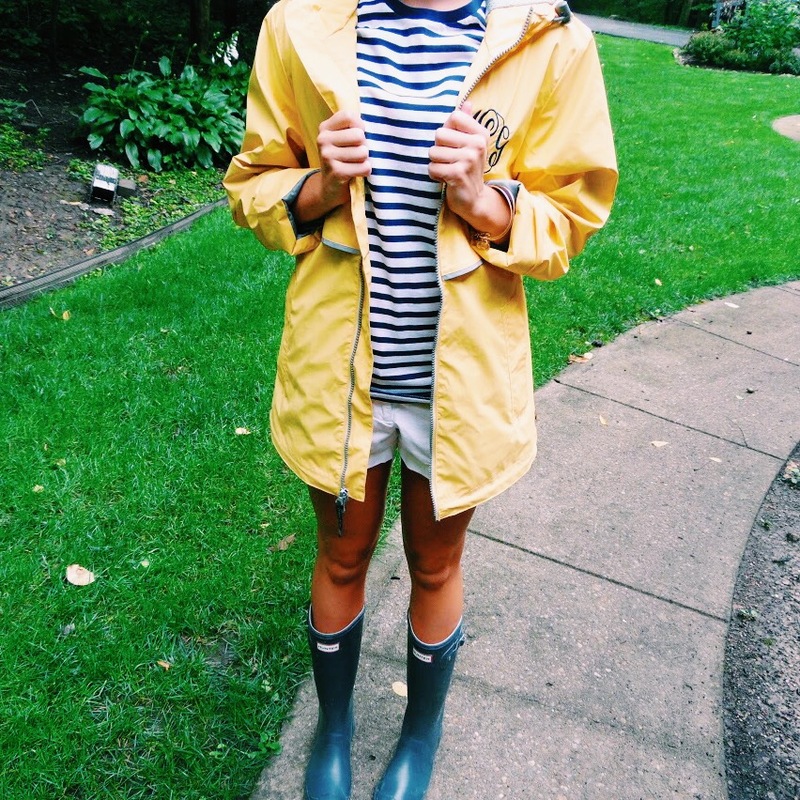 As strange as it is, sometimes like I when it rains so I get to dress up in my rain gear! 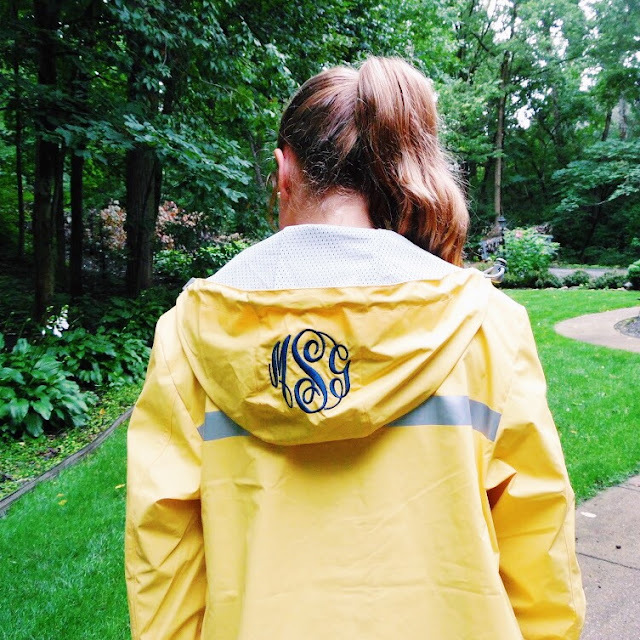 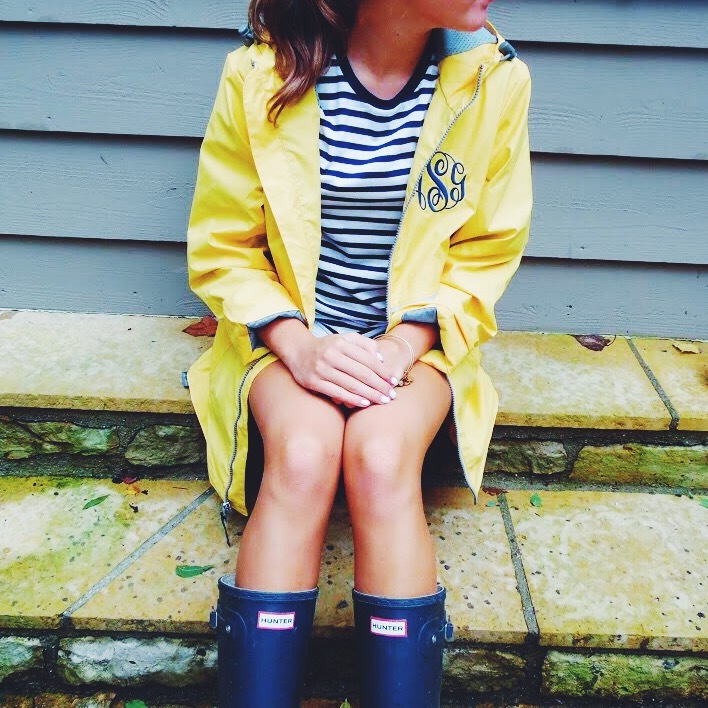 I recently received this rain jacket from Southern Touch Monograms and I love it! 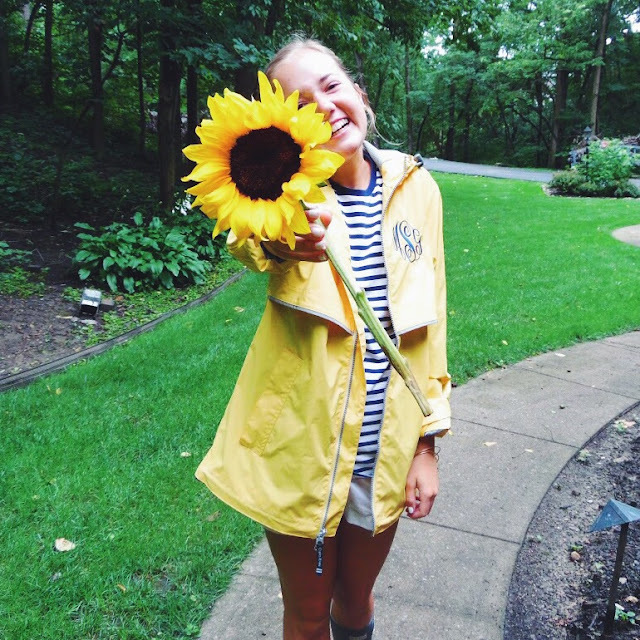 The bright yellow keeps me in a sunny state of mind even on the rainiest of days. I layered the jacket over a striped shirt with some white shorts and Hunter boots. 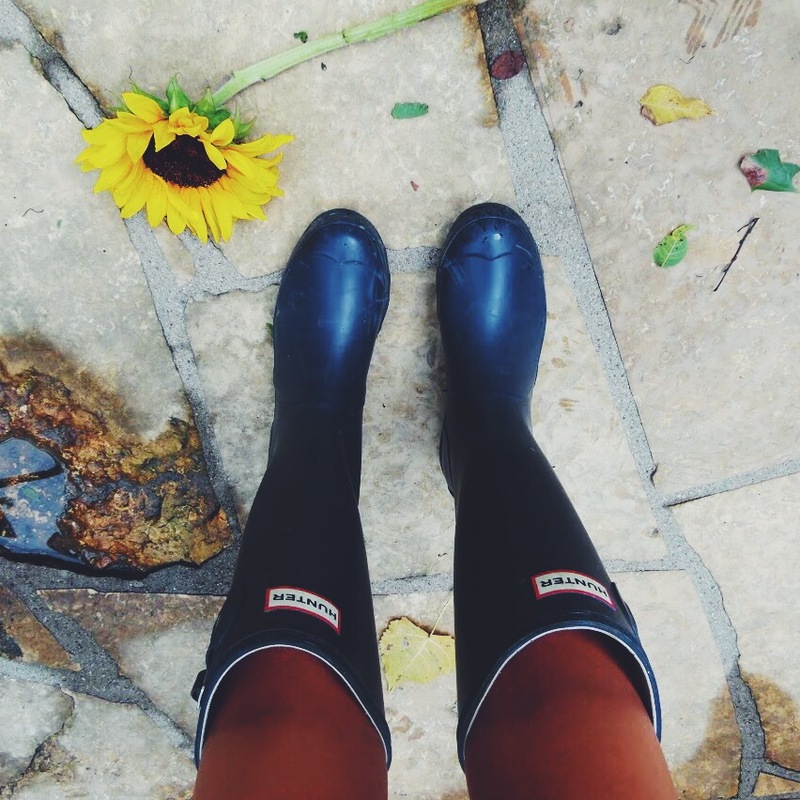 I know some people are very hesitant to wear boots with shorts, but I think anyone can rock Hunters and chino shorts. 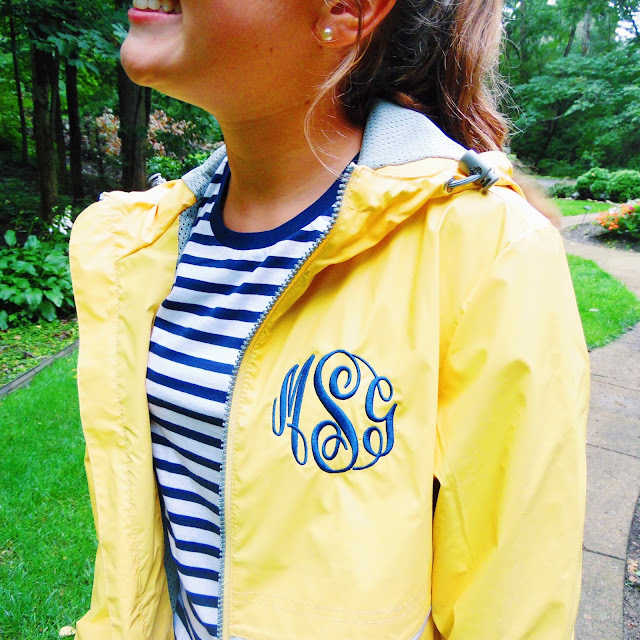 This jacket is so cute and bright, and you totally rock boots and shorts!! 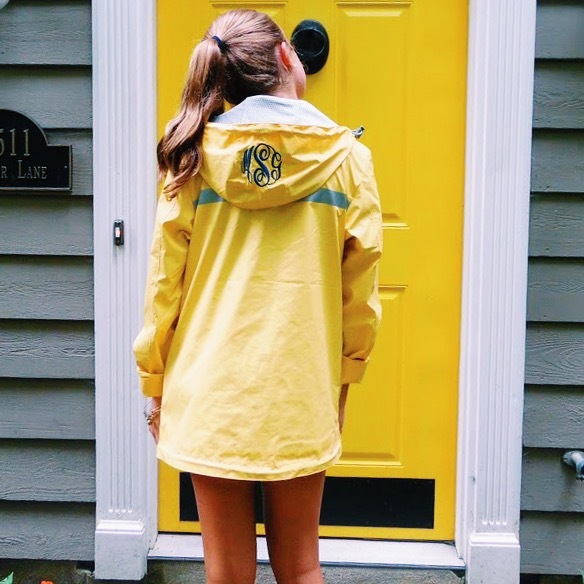 Ahhh this is the yellow rain jacket? Love it! I'm digging the chino's with boots, and it's a look I'll resort to as well!